Looking good so were are you going for your " Summer Holiday " ???? This bus has been used in a few TV sitcoms, The Good Life for example. Running nifty since 1950… the King of Volkswagens Why not make friends with this famous little VW – he's on facebook! 1 user thanked Rattletrap for this useful post. Any updates on the fleet or are they still sleeping ????? I have started back on the beast. I've been even more lapse than usual Andy, I have nothing at all on the road yet. 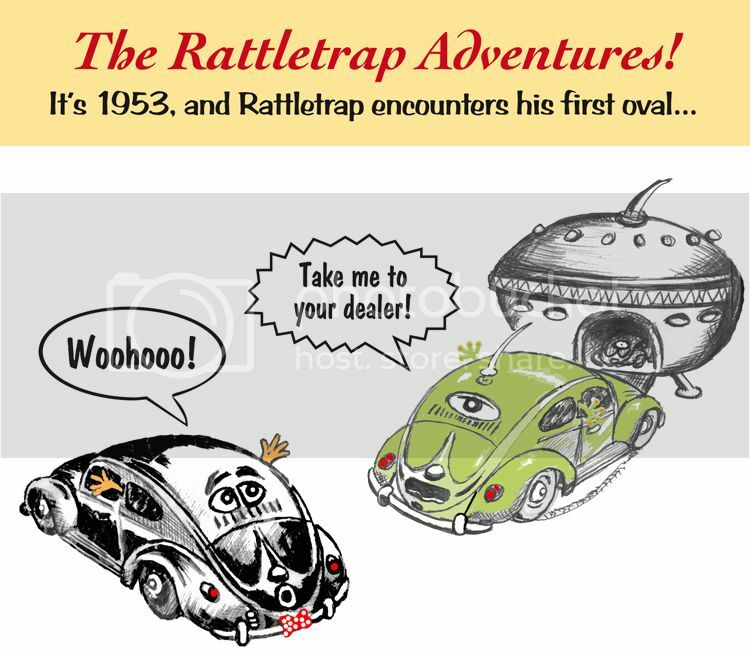 It's coming down to a toss-up between my '52 Standard and Rattytrap, my remarkably ratty looking '58, this year. rATTL.jpg (104kb) downloaded 5 time(s). 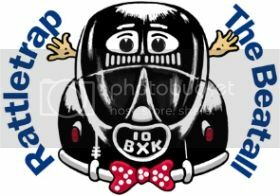 tryp.jpg (79kb) downloaded 5 time(s). That's it then Andy. Rattletrap to feature in the next Star Wars film. rat_t.jpg (100kb) downloaded 8 time(s). Excellent find Andy, glad he never had his old friend crushed. It certainly felt like summer in John's garage this afternoon. Rattletrap and his numerous, somewhat dusty, German and Czech brothers seemed to be coping with the heat well enough. 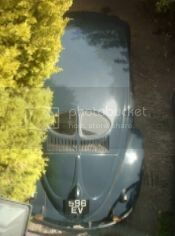 47 Beetle, 56 UK Karmann Cabriolet, 56 UK Beetle, 57 UK Type 2, 59 UK Beetle, 66 UK Fastback. What is this 'beast' you speak of ? I'm intrigued, how about a picture? I think Andy is a little shy about giving too much info on his Beast. This page was generated in 0.529 seconds.